Vintage Rose is a gorgeous pieced quilt with just a bit of applique. 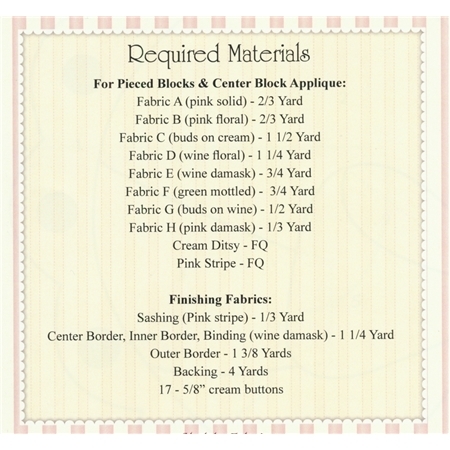 Designed right here at Shabby Fabrics, each block of this wonderful quilt incorporates basic piecing techniques such as half-square triangles, squares, and hourglass blocks. The center features scalloped corners framing a beautiful heart, which can be appliqued using traditional or fusible techniques. Quilt finishes to 68" x 68". Pattern includes all instructions.